How many times did you read the phrase “content is king”? Although repeated, it’s essentially true; especially in Digital Marketing. How to write SEO content for a website is something that many marketers struggle with. 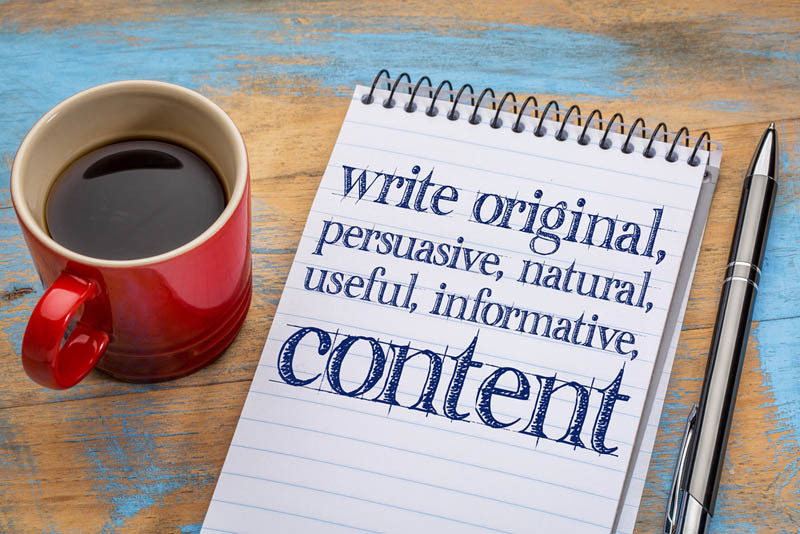 Not only because of the effort that takes to feature original, appealing and fresh writing but also, because it’s necessary to optimize that content the right way in order to make it rank properly in SERPs. Otherwise, you may have the most revealing, most technical and best-written article… but no one will be reading it. Optimization of your blogs and written content on your pages is the ABC of SEO. That’s what makes people find your website organically and eventually, hire your services. 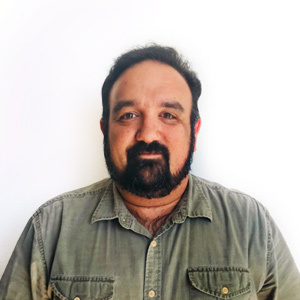 Websites Depot has in-house content writers who generate blogs for all of our clients. We do it that way because we know the importance of using the proper writing along with a careful use of keywords in order to make our client’s sites rank high. Throwing content meaninglessly and stuff it with keywords that make no sense is not only unattractive to users: it’s a total backfire when it comes to SEO. The first thing you need to think about how to write SEO content is to research for your keyword. Nowadays, with the high levels of competition in digital marketing, it will be hard to rank for one or two simple words. You also need to keep in mind how common users perform searches, not only by typing but also with voice search. So it’ll be better to think about keyword phrases better than just keywords. Sometimes you can even find those phrases by performing a search yourself on Google. There are also very useful tools online like SEMrush that can help you get very good ideas and track where you ran for your keyword. Then, you need to use some variations of your keyword in the body of the blog. Of course, you need to make it feel natural for two reasons. One, because users looking for the keyword you want to rank for want to know more about it. And two, because Google’s artificial intelligence can tell the difference between real writing and spammy content. This can lead to the exact opposite of what you want, which is sinking your rankings. Your article should be at least 300 words long in order to give your writing enough value and make it attractive to both your audience and search engines. It’s recommended to add no more than two or three links to your blog. These blogs should lead to pages that are relevant to the keyword they’re linking to. In future blogs, we will share information about how to properly optimize your writing for SEO. If you need assistance to create content for your website or if you don’t have the time to do it properly, we can help you. 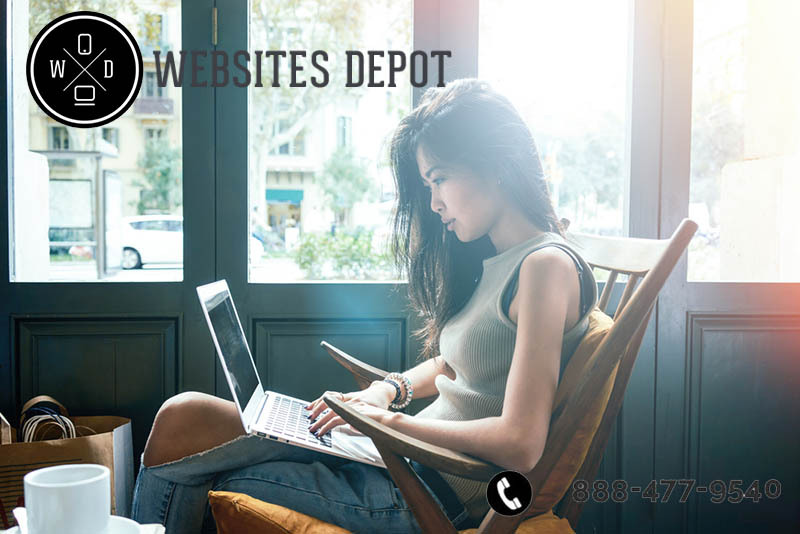 Websites Depot has expert, bilingual in-house writers, who can create excellent, relevant content for your pages and blogs. Call us at (888) 477-9540 and make a consultation today.